The nine energetic and enthusiastic Fellows are a small temporary community farming together and learning about sustainability. I thoroughly enjoyed meeting them, as well as Kayla and Trevor, the two farm managers, and Laurie Bergman. They farm in a splendidly isolated zone 4 mountainous area. 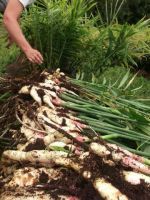 Their gardens are almost weed-free, and their onions and leeks are stupendous! Brassica flea beetles are the main insect challenge. The fresh air was a lovely change from muggy central Virginia. Several of the crops we grow outside (eggplant, peppers, watermelon, sweet potatoes) are creatively packed into their hoophouse. The January issue of Growing for Market is out, and in it is my article More strategies for dealing with a changing climate. A photo of our fava beans is on the cover. This is the third in a series of four. (You can see earlier blog posts about the first two, in the Articles category.) This article covers the use of soil temperature as a deciding factor on when to sow or plant, and includes a table of minimum (spring) and maximum (summer/fall) temperatures for about 50 crops. As the climate becomes harder to predict, using a calendar (“Plant potatoes on St Patrick’s Day!”) will need to be replaced by using information like soil temperatures, which reflect what the plants will actually experience this particular year. The article also discusses scouting, which is the practice of making a regular tour of your crops to monitor growth and health. If you see a pest or a disease, you can determine if the level of infestation is enough to call for action, or if watchful waiting is in order. Keeping in touch with how your crops are doing will help you know when you need to take action to avert disaster or to make good use of an opportunity like an early-finishing crop opening up the possibility of using a longer-term cover crop. I also talk a bit about being prepared for more extreme temperatures – trialing varieties that are more cold- or heat-tolerant than your old favorites, and using shadecloth and organic mulches to reduce heat stress. 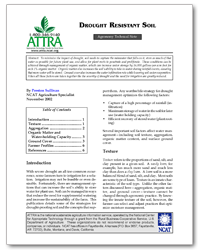 ATTRA’s Drought Resistant Soil addresses ways to increase the organic matter content of the soil, and keep the soil covered at all times, helping you farms’ resilience. In addition I added in a few more resources I’ve found to help with predicting climate change. DailyClimate.org – a daily email newsletter; NOAA Climate Prediction Center, and Weatherspark.com, a fun weather site is where you can see, for instance, what your average winter low has been, and plan plantings accordingly. Two additional resources on frost management are NCSU’s Frost/Freeze Protection for Horticultural Crops and the Food and Agriculture Organization 126-page book Frost Protection: Fundamentals, Practice and Economics. Why the fava bean photo? Wait till the soil temperature reaches 36F (2C) before sowing. As well as my article, there are many other gems – Identify your biggest money-making crops by Chris Blanchard; A Tool Review of The Quick Cut Greens Harvester by Jean-Martin Fortier; 8,000 miles and 18 farmers markets, a travelogue by Gwynn Hamilton and Bert Webster about their cross-country road trip visiting farmers markets all the way; Understanding one of the few insecticides for organic growers by Raymond A. Cloyd, about spinosad formulated as Entrust, and Growers create their own wholesale market for local flowers in Seattle by Debra Prinzing, co-author of The 50-Mile Bouquet about the movement toward locally grown, sustainable flowers. Climate Change, or just Weather? We just had a cold night of 17F, considerably colder than our previous coldest this year (22F). Several people remarked how cold this November has been. Perhaps even colder than any month last winter? I decided to find out. November 2011 had a low of 22F on 11/12, 11/18 and 11/19. The highest low was 56F on 11/21. The average low was 35.3F. December 2011 had a lowpoint of 18F on 12/12, a warmest night at 60F on 12/7, and the average low was 29.2F. January 2012 had a low point of 9F on 1/25, a “warmest” night of 39F just two days later on 1/27, and an average night low of 22.5F. February 2012 had a coldest night (10F) on 2/13, a warmest night (49F) on 2/2, and an average low of 29.3F. Young blueberry bush in snow. So how does this November compare? Our coldest night has been 17F on 11/29, our warmest night 44F on 11/19, with an average of 27.5F. So, November 2012 has had colder nights than Nov 2011 and Dec 2011, but not January 2012. What about the daytime? Has it been chillier than usual? This November has had a max of 78F on 11/11, a coldest day on 11/27 (46F) and an average of 58.4F, not counting today. November 2011 had a 78F day too (11/14) and much warmer days, the lowest was 50F on 11/17 and 11/18. The average daytime high was 65.9F. Positively balmy! Dec 2011 had a high of 68F on 12/15 and a coldest day at 44F just two days later. The average daytime high was 55.2F. Colder than this November. January 2012 had a high point of 72F on 1/31, a coldest day of 34F on 1/21 and an average daytime temperature of 53F. Also colder than this November. We record our daily max and min temperatures and rainfall, enabling us to compile the weather data from the past several years into some interesting graphs. 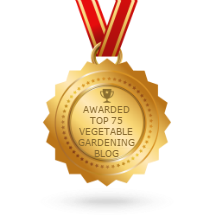 Each year around this time we write up a report for the community about how our gardening year has gone, which crops were successful, which not. We also include an appendix about the weather that year and previous years. The appendix gets longer with each added year, so we shorten the reports from the oldest years, so as to give prominence to weather most people can remember. Here I’ll include just the past four years. Our 2012 earthquakes numbers 61-82 were recorded between January and July 31. No more aftershocks of the Aug 23 2011 big quake have been recorded since, although I felt two in August. It’s nice to have that piece of history behind us after a year of nervousness. Our last frost was on 4/24, a very patchy light frost. The previous frosts were 4/11-4/14. This fall we had a patchy frost on 10/13, but no serious one till 11/1. January was cold and dryish with freezing rain on 1/20. February was mild and wet, with one 5″ snowfall. March and April were warm. May was twice as wet as average (7.4″), and warm. We had four days of 90F or more from 5/25. June heated up, with temperatures of 99F on 6/20, and 105F on 6/29. Seven days of 92F or more. July was brutally hot, with 17 or 18 days at 95F or hotter, nine of them 100F or more. The hottest was 107F. Slightly more rain than normal. And of course, the impressive/oppressive humidity. August had “only” six days above 95F, September was milder and rainier, with 5.5″, and no major hurricanes for us. October was warm, with daytime temperatures of 70-86F until the last week (the Hurricane Sandy week). We were extremely lucky with that, only getting about 3″ of rain. In my memory, there were long drought periods when the need to irrigate was relentless, but the data don’t support this memory. Funny, that. We actually had 2-7.4″ every month and the longest dry spell was the first two weeks of April. 2011 was often too rainy. January 1st had a high of 62°F, then the month cooled, with several nights of 10°F, one at 4°F, and two snowfalls. February included 6 days with highs over 68°F, (80°F on 2/18), a dusting of snow, a few nights in the teens and a normal amount of rain (1.9”). March was wet with 6.7” rain (twice normal), 7 days at 70°F or more, 6 nights below 25°F. April had 7 very hot days (90°F or more), average rain, and a patchy last frost on 4/14. May was very wet (6.6”), and warm, ending with a string of days above 90°F. June was also wet (6.2”, including one deluge of 4.1”), hot at each end , two days at 100°F, and milder in the middle. July had a brutal two week drought at the end, and a string of 14 days (including 8/1-8/2) with temperatures above 95°F. The highest was 104°F. August continued with high temperatures, but only 7 days over 95°F. We got too much rain (7.7”), including Hurricane Irene, which gave us 2.8” but could have been so much worse. And there was the 5.8 magnitude earthquake centered a few miles from us on 8/23, and the 59 aftershocks registering 1.8 or higher between then and the last for the year on December 24 (mag 2.4) . November gave us a 17 day gap in aftershocks, up until the 5 in 48 hours 11/19-20. September brought another huge 7.7” rain, including Tropical Storm Lee. Temperatures were nice, although it was often hard to work with the soil getting saturated so often. 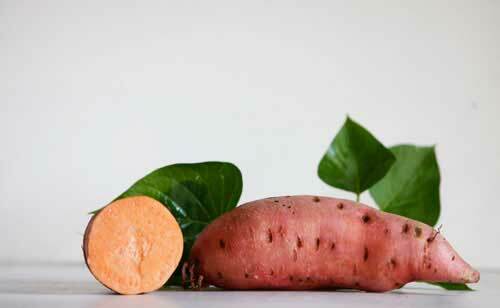 October was pleasant, if still wet (5.5”), delaying harvest of our potatoes and rotting our winter squash. The first frosts came decisively at 25°F on 10/30 and 10/31. November had 3.9″ of rain, December 5.4″. The winter of 2009-2010 was remarkable for heavy snowfalls. The lowest temperature of the winter was –5°F (1/30). There was a series of 22 Nor’easter storms December to March. The last frost was 5/9, long after the first days above 95°F (4/6 &4/7). 2010 had a brutally hot summer. The days above 95°F were 13 in June, 19 in July, 14 in August, 10 in September. Days above 100°F were 2, 11, 2, 2 for those months. The hottest day was 107°F on 7/24. No major hurricanes affected us, although Nicole gave us 2.5” rain 9/29. Statistically speaking, the rain was a normal amount, but when temperatures are so hot, much more evaporates. On 10/2 there was a magnitude 3.0 earthquake with an epicenter between Mechanicsville and Fredericksburg, and another at Ashland, magnitude 2.4 on 10/30. First frost was 10/23. November was mild, but the cold weather kicked in 12/4/10. 2009 started mild then got extremely cold in mid-January, with temperatures below –5°F. We had the first significant snowfall in a few years, and the pond froze over for the first time in at least 3 years. Last frost 4/18. We had average precipitation overall, but it was flood or drought, which isn’t good for the garden. We lost the new Ag Well pump and tank in the Tobacco Barn fire, and had difficulties with irrigation. The hottest day was 98°F. We had a heat wave in early June, but only eight days of 95°F or higher all year. In early November it rained for about four days straight. First frost was 10/18. My Number One Resource for many years has been ATTRA, National Sustainable Agriculture Information Resource, www.attra.ncat.org. Solid useful info on a range of topics. Very helpful people. Toll-free hot-lines in English and Spanish. Hundreds of helpful publications. Newsletters. Look also on their site for SIFT, (Small-Scale Intensive Farm Training Program) for new farmers. Here’s ATTRA’s pest management page. Fast becoming another favorite of mine is the newer and rapidly growing eOrganic, the Organic Agriculture part of the Cooperative Extension System. Many state Extension Services have good websites. 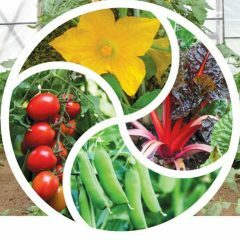 Some have particular strengths: Our own Virginia Tech has lots about vegetables and diseases and pests (not necessarily organic). For locally relevant information, start with your local Extension Office after the EOrganic one. Then prepare for global warming and try one south of you. 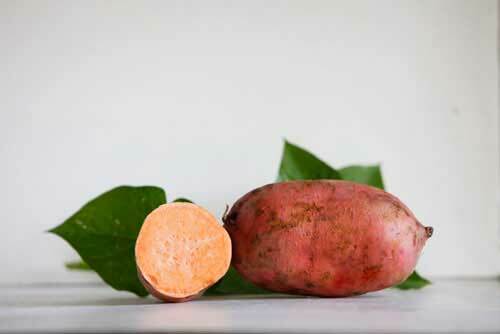 Cornell is good on fruit and Cornell Plant Pathology runs the Vegetable MD online. 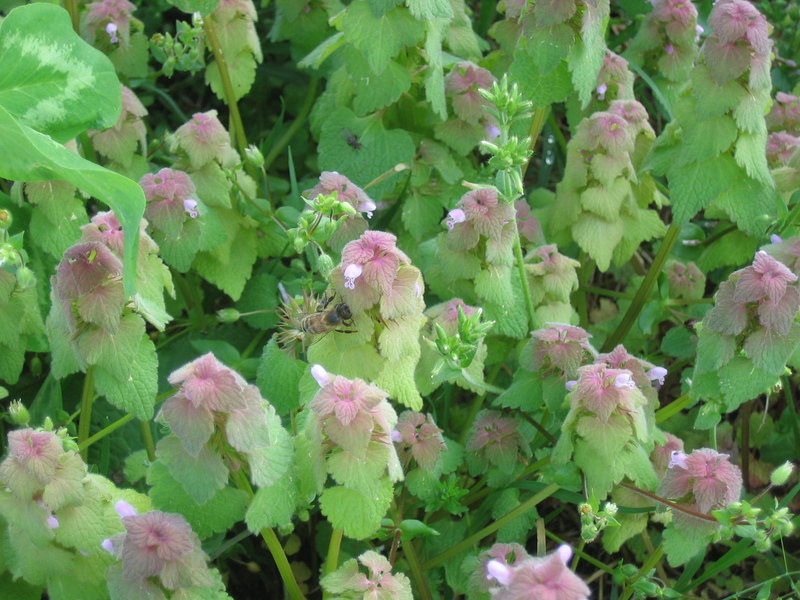 North Carolina has good info for commercial growers of vegetables, fruits and flowers, including some publications specifically on organic methods. They also have publications geared more towards home gardeners. And they have another of my favorites: Debbie Roos’ site Growing Small Farms. Southern Sustainable Agriculture Working Group has produced a series of Virtual Farm Tour DVDs. The series is called Natural Farming Systems in the South. Sustainable Agriculture Research and Education (SARE) Grants and information, including free downloads of several really good books such as Managing Cover Crops Profitably. Click on the Learning Center tab. Southern Exposure Seed Exchange, seeds for the south and lots more contacts and events. Click on the links button. Growing for Market magazine. 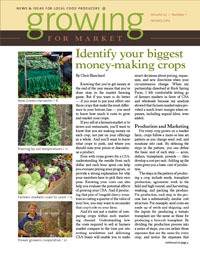 Monthly magazine packed with practical information for market growers. Virginia Association for Biological Farming www.vabf.org Conference February 8-9, 2013 in Richmond, including a one day Farm School for new farmers and growers. 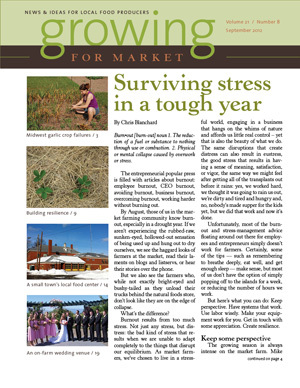 The September issue of Growing for Market magazine is out, and with it, my article Building resilience into farm systems. I’ve embarked on a four-part fall and winter series of articles aimed at helping growers thrive under varying situations, some of which we have no control over. This first article is about being prepared for whatever Nature throws at you, expecting to adapt, and building in options. I’ve sent in the second article, about understanding and predicting conditions,for the October issue. It covers weather forecasting, frost prediction, Growing Degree Days and phenology. The next one after that will include using soil temperatures, scouting and monitoring for problems and something about on-the-spot decision-making. The last one will deal more with decision-making, reviewing results and learning from mistakes. To read the articles, get a subscription to the magazine. 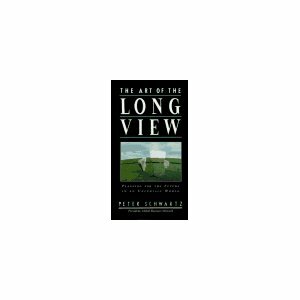 It can be helpful to do some scenario planning, which I learned about when I read The Art of the Long View, by Peter Schwartz (Doubleday, 1991). Scenario Planning is a method of making flexible long-term plans, using stories (scenarios) to help us visualize different possible futures that include not only factors we don’t control, like the weather or the market’s enthusiasm for bulb fennel, but also intangibles such as our hopes and fears, beliefs and dreams. No time to read books? Very sad! Maybe see you at the Heritage Harvest Festival at Monticello, near Charlottesville, this Friday and Saturday.